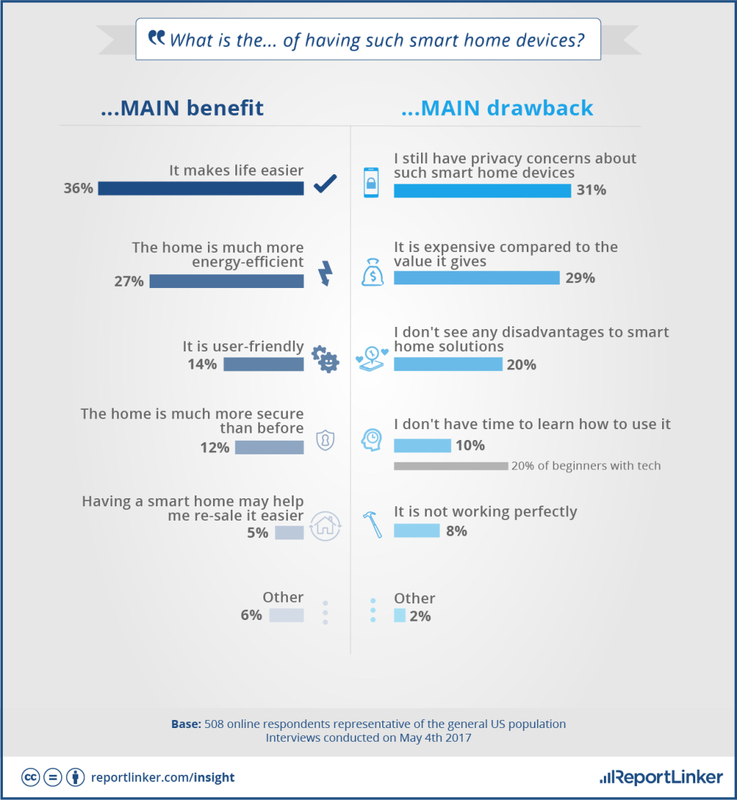 Still, half of the respondents said they owned one or two smart home devices and 26% said they owned five or more, so the convenience of having a smart home seems to be winning out over privacy angst. ReportLinker’s survey of 508 online respondents representative of the U.S. population was conducted on May 4. Check out the full report here.